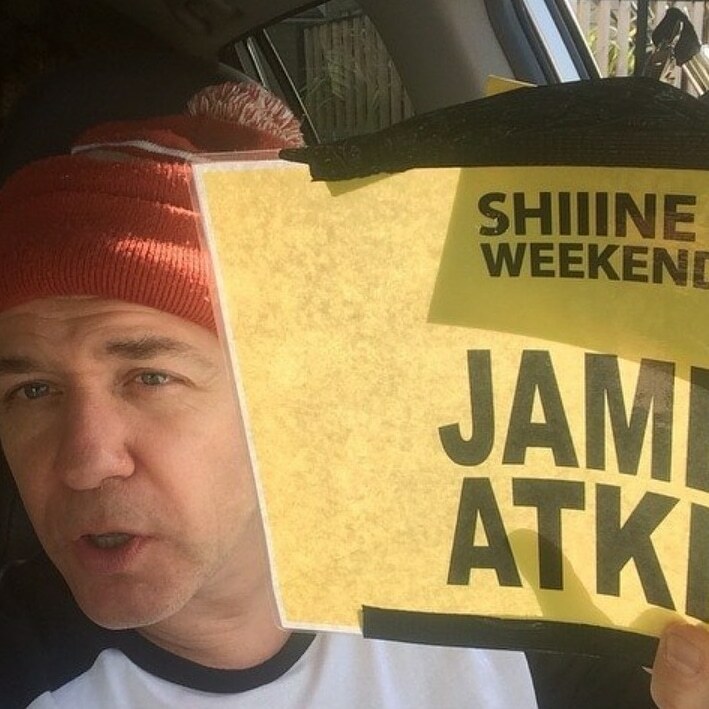 Ahead of his return to Shiiine On we spoke to one of the ever presents who has embraced and been a embodiment of the whole Shiiine ethos and spirit since the beginning – Mr James Atkin. This year we get an EMF & Bentley Rythem Ace double header from James. The hardest working man at Shiiine On (besides the organisers) I make it 1x launch party 2 x mini cruise and a fourth Weekender imminent, I guess you like what Shiiine is all about ? Yes, the Shiiine Weekenders seem to a major event on the Atkin calendar and we really look forward to them. We have a fairly peaceful life up here in the Yorkshire Dales, not much action but this keeps us out of trouble the majority of the time. With the Shiiine Weekender on the horizon I know it’s going to be a whirlwind of craziness over three days, including dancing, laughing, watching great bands, chatting and making friends with total strangers, partying, boozing and generally being a hedonistic enthusiast for 72 hours. I’m thankful I can crawl back to the Dales but wouldn’t miss it for the world. It is getting on for around two years since your last album “Party Faithful” – Is there any new music on the Horizon you can tell us about ? Just in the process of finalising the third album release. It will most likely be a self-release again through Pledge Music and ATK records. The campaign will start mid November with a release date for the 1stMarch. We’ve also been busy writing and recording some new EMF tracks that will hopefully see the light in 2019. You mentioned earlier you now live in a rural environment in the Yorkshire dales. Has this changed the way you go about making & writing music, possibly more freedom away from big city scenes and the business in general? I’m definitely more productive these days, I guess being away from the city has helped, also the pressure lifted from feeling I have to prove myself, be part of a scene or involved in the music business. We have a small recording set-up that is suffice for producing great results. We also have a big PA and rehearsal room that regularly upsets the local farmers in the next valley – I always wanted a big party sound system in the countryside when I was younger, I have that now but only my wife and kids to party with as we’re miles from anywhere and anyone. Bentley Rhythm Ace – It really works great your involvement & chemistry with them, what is the story behind you becoming a BRA member? I’ve been involved with the live stuff right from the off with them, some 25 years now, crickey. I love this band so much; they came into my life just at the right time. I’d been touring with EMF for a few years and keeping it fairly together, all of a sudden with Bentley Rhythm Ace I was playing in a band where it was considered compulsory to be off your knackers at every show. I’d been a very close friend of Richard’s (PWEI) from touring together in the US. 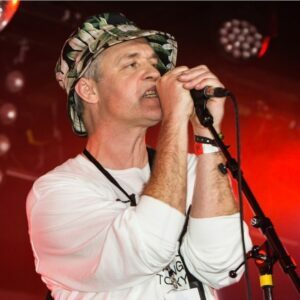 He came around my Camden flat one evening with Mike Stokes saying their new band had a show up the road at the ‘Rocket’ on the Holloway Rd at some crusty rave – I asked where their equipment was and who was in the band? They looked a bit baffled and it was obvious they hadn’t really been concerned about the logistics (I later discovered this was definitely a BRA trait). We found some old congas that were placed in a shopping trolley and I purchased some white paper decorators overalls, we sprayed EAST 17 on the back of these with aluminous paint, we then took loads of magic and did the gig – thus BRA live show was born. 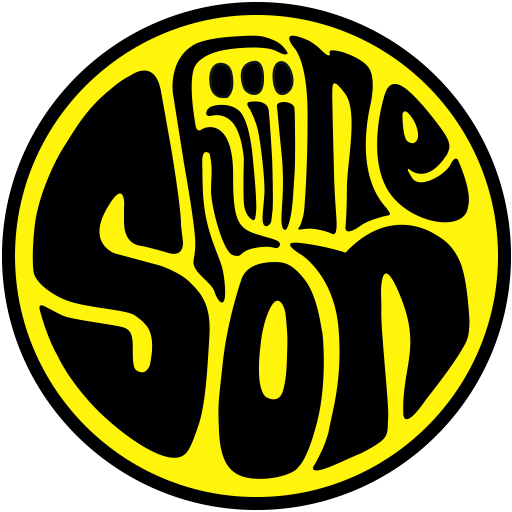 Rich and Mike had already written and recorded an amazing record that Skint Records had picked up on. The next few years were spent doing every festival known to man and partying like there was no tomorrow. EMF are back playing live and sounding refreshed and as good as ever on the cruise to Amsterdam, all the trademark energy of a EMF gig on display, is there any plans for EMF beyond Shiiine you can tell us about? It’s been amazing having the chance to do the odd EMF show every now and again. The group is sounding great at the moment and there’s a really nice atmosphere in the band. There’s no major plan to do loads of shows at present, the guys are all super busy with their own lives. After the cruise gig I was compelled to revisit the “Stigma” album, for me that is the jewel in the EMF crown recording wise – Would you agree? We like to think of it as our ‘Paul’s Boutique’ – the album that never quite got the recognition it deserves, although it definitely seems to be a favourite amongst our fans. Finally what is the current listening pleasures on the James Atkin turntable? I’m kind of sad when it comes to listening to new music unfortunately. My wife always says ‘have you heard this?’ or ‘check these guys out’. I stopped listening to new music after the Smiths released ‘The Queen is Dead’ in 1986 – I told you I was sad. I am looking forward to seeing Hooky at Shiiine though. The last time I saw him he did both ‘Substance’ albums and I managed to hassle him to sign my copies. I hear that he is doing tracks from ‘Technique now’; this is my favourite New Order album (and probably favourite album of all time). My wife and me have a New Order’s cover band where most of our set is made up of songs from ‘Technique’ and ‘Substance’. I’m trying to persuade James and Steve the Shiiine promoters to book us one year.